Cold Steel Aluminium Pistol Grip City Stick(91STAP) Walking sticks, self defence sticks, etc. 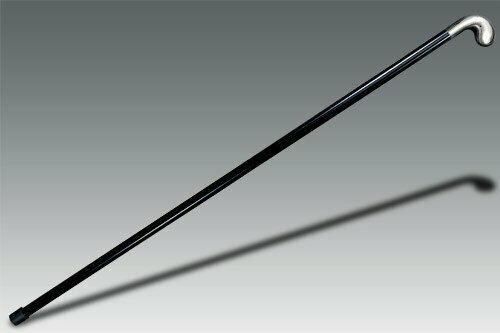 We are proud to announce the re-release of our classic pistol grip cane. Now with a finely crafted solid Aluminum head, our pistol grip cane is far lighter, better balanced and easier to carry and use than ever before! Our classy walking sticks are just at home at the opera as they are on a stroll through the urban jungle. The City Stick's glossy black shafts are made out of eleven layers of fiberglass which, in impact tests, proved to be unbreakable. They're all topped with a removable head that can be easily engraved or modified to suit your tastes. At the base is a thick rubber ferrule for excellent traction.